*Coaches must ensure that they have a completed form for each youth participant in .22 pistol. You may edit to include your practice dates as well. If you already have a signed form, that will suffice. Youth Handgun Safety Act Notice referenced on form. Each participant must have a completed 4-H Medical Infomation and Treatment Form on file with the coach at the tournament. Interested in supporting the 4-H youth in the Eastern Regionals? Check out our “4-H Aim for Excellence” program! 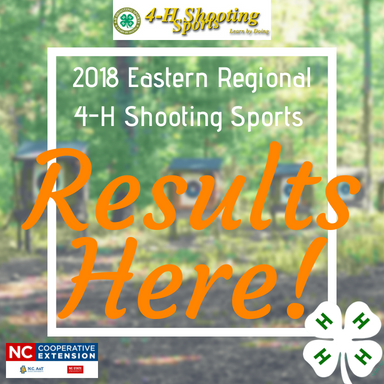 • 2015 Eastern Regional 4-H Shooting Sports Tournament Results Are In!! !